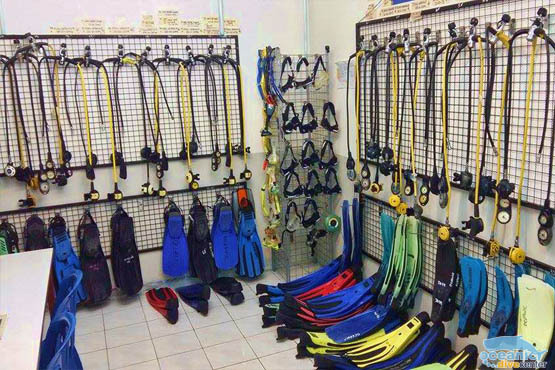 All the tools you need to run your dive shop. Are you looking for a Point-of-Sale system that seamlessly integrates with a Customer Database and repair tracking system? RepairShopr is an all-in-one Point-of-Sale (POS) and Customer Relationship Management (CRM) solution designed to help you run your dive shop. 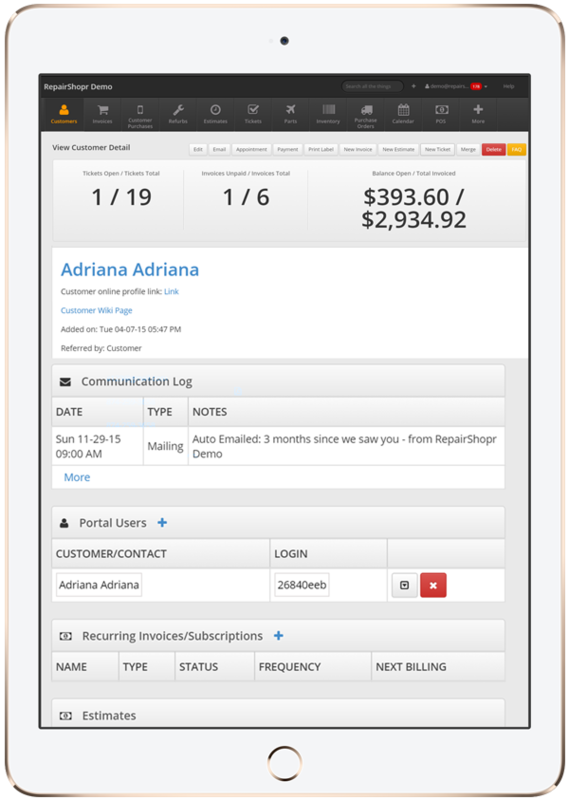 Process sales, send invoices, track gear, manage customer information, see business results, and more. All on one platform: RepairShopr. Full solution including Point-of-Sale system and Customer Database so everything you need to run your dive shop is in one place. Easy data import plus our Onboarding Wizard makes switching from other software a breeze. Have questions? We're here to help you! Integrates with your favorite products: Google Calendar for events/classes, Quickbooks for accounting, and many more. Best-in-class customer service just got easier. Set up automatic marketing emails to keep customers engaged. Why RepairShopr over other Dive Shop options? All-in-one. Customizable. Everything you need and nothing you don't. Check out customers and send invoices using one end-to-end POS system. Stay on top of customer service by capturing the information you need - like certifications and dive history - and nothing more. Shorten your billing cycles by turning estimates into invoices and tracking payment status without any fuss. Easily track gear like rebreathers, dive computers, and BCDs so you know what you have and what you need. Create repair tickets from emails, website widgets, or in-store drop off while allowing your team to seamlessly track and bill labor. See results and opportunities at-a-glance with real-time reporting. Try the built-in reports or customize to exactly the metrics you need to see.